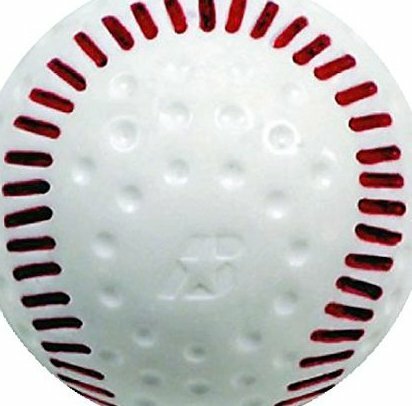 Patented red seamed pitching machine ball. 9" white dimpled. Inset seams protects seams color from wear. Genuine baseball appearance trains your eye for the real pitch. Ball works in any pitching machine.